Our Christmas in July sale is going on now... items discounted up to 50 PERCENT! From a beautiful fur stole to vintage ornaments to antique postcards, all Christmas items are on sale. Please feel free to contact me with any questions about an item. Click here to go to the newly created category! Nice job on the new category. 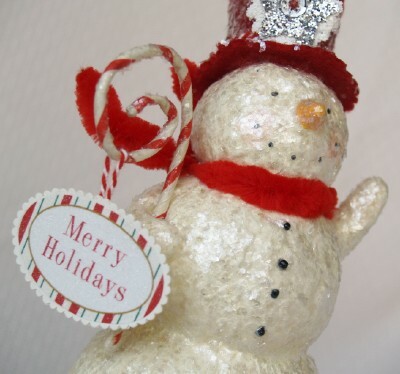 I liked the glass tree ornament and sparkly snowman.